Besiktas are planning a move for Arda Turan. According to the football transfer rumours in Turkish media, Besiktas are poised to land Barcelona attacking midfielder Arda Turan. The Turkey international was signed by Barcelona in July 2015 from Atletico Madrid for a fee of 34 million euros. The 30-year-old has a contract until 2020 with the club. Arda Turan has played 55 times for Barcelona since signing from Atletico Madrid, scoring 15 goals and creating 11 assists in that time. His record for Turkey is also impressive. Arda Turan has scored 16 goals in 100 matches for Turkey at senior level. Turan is one of the more likely players to be offloaded by Barcelona this winter and the list of suitors in the Turkey international continues to grow. Senol Gunes is keen to secure at least one big signing this winter, and Arda Turan could very well be a man under consideration. Gunes is a long term admirer of Arda Turan and believes he can get the most out of the Turkey international. Besiktas will be in the market for just a handful of statement signings who can improve the first-team. According to the report, Turan does look set to leave the Camp Nou if the club and player both receive an offer worthy of consideration. The Turkish giants have now entered the race for the 30-year-old’s signature and want to bring him back to his homeland. 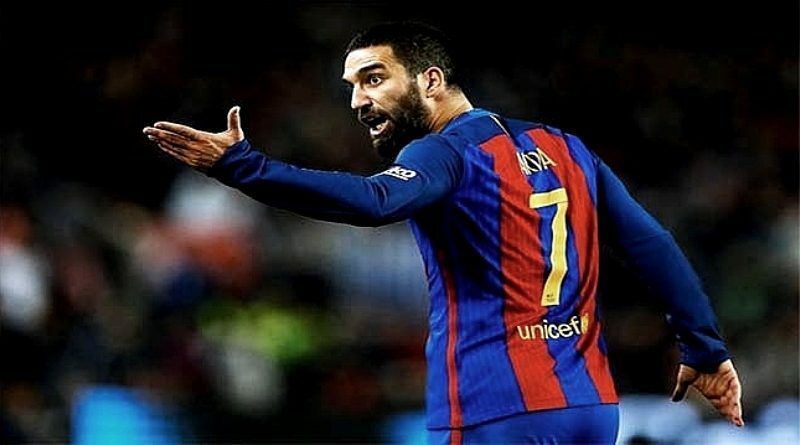 Besiktas is willing to pay in the region of 30 million euros to Barcelona for Turan and they would be happy to offer him a deal worth 5 million euros per season. Signing the 30-year-old in January would be a masterstroke from Senol Gunes. Stylistically, he would be a great fit in Besiktas.